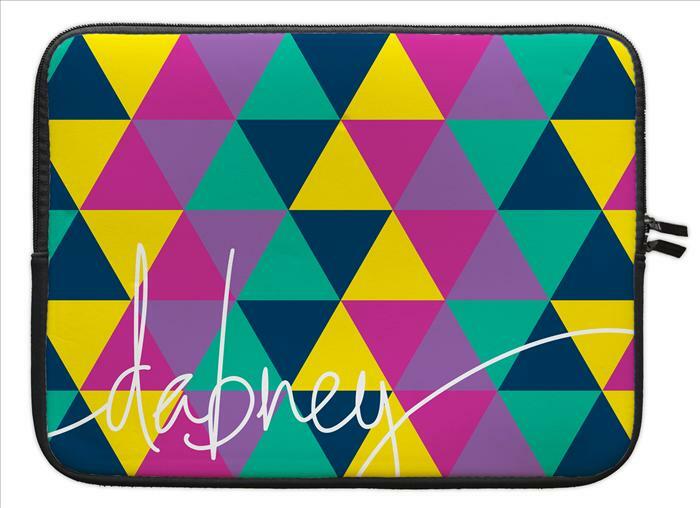 Description: Encompass your laptop in a personalized neoprene case. Enjoy added protection with a unique personalized flair. Pattern on the front, black on the back. Available in two sizes with your choice of 4 personalizations (Block initials, circle monogram, script name or diamond monogram) in your choice of ink colors (background design is as shown, but you choose your monogram/name color). Our 15" Laptop cases measure 14.5" wide by 11.25" tall. Our 13" Laptop cases measure 13.5" wide by 10.5" tall.